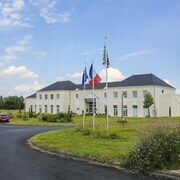 These hotel accommodations are located throughout the area in Amboise. Loved our stay! The staff was more than helpful and always went above and beyond to help us handle whatever we needed, from restaurant reservations & recommendations to transportation needs. We will definitely stay here again on our next visit to Amboise! Merci!! Excellent location. Terrific room. Wonderful faff. Good breakfast. 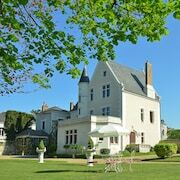 Where to find Amboise hotels near an airport? Where can I find hotels in Amboise that are near tourist attractions? If you are visiting Indre-et-Loire and you're looking to book accommodation in Amboise, you'll find a wonderful array to select from. You'll find 20 hotel and apartment options within a 0.1-kilometre (0.06-mile) radius of Amboise's downtown on Expedia's comprehensive accommodation pages. 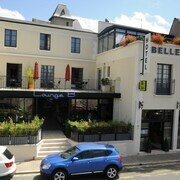 Would you like to book a room close to the action in Amboise? The Le Choiseul and Le Clos d'Amboise are located 1 kilometre (0.6 miles) of the town center. 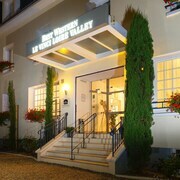 The Villa Bellagio Amboise, Best Western Le Vinci Loire Valley and La Breche are good places to stay for tourists chasing budget hotels. The Château de Noizay is 7 kilometres (4 miles) from downtown Amboise. Alternatively, the Château de la Bourdaisière can be found 12 kilometres (8 miles) away. 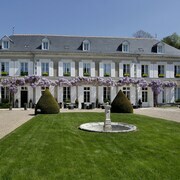 Some more accommodation options in the Amboise area are the Château de Pray and the Chateau De Jallanges. 25 kilometres (14 miles) from Amboise you will find Tours, where you can spend the day exploring Tours Cathedral and Vinci International Convention Centre. 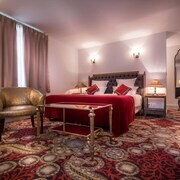 Should you wish to visit Tours, check out the Château de l'Aubrière and Clarion Hotel Château Belmont Tours. 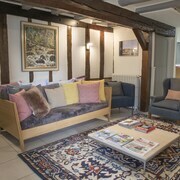 Or stay in Loches, 30 kilometres (20 miles) to the south of Amboise, where you can choose from the Pierre & Vacances Residence Le Moulin des Cordeliers Loches and Hotel Luccotel. Should you choose to stay in Loches, be sure to visit the Chateau de Loches and Musee Lansyer. Before you leave Indre-et-Loire, why not make sure you experience some sport. Visit Circuit de la Sarthe to the northwest of Amboise. 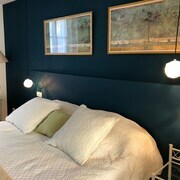 For visitors who are interested in booking a bed nearby, make a reservation in the Hôtel Concordia Le Mans Centre gare or Mercure Le Mans Centre. Tours - Loire Valley Airport is situated 20 kilometres (12 miles) from Amboise. 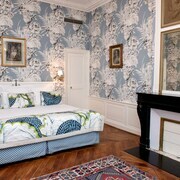 Visitors who wish to stay nearby, you can book a room at the Art Hôtel Rochecorbon or the Oceania L'Univers Tours. What are the most popular Amboise hotels? Are there hotels in other cities near Amboise? What other types of accommodations are available in Amboise? Explore Amboise with Expedia.ca’s Travel Guides to find the best flights, cars, holiday packages and more!